Offshore Facility – Manutech Inc.
Manutech has over 30 years of experience providing high quality, competitively-priced products and services. 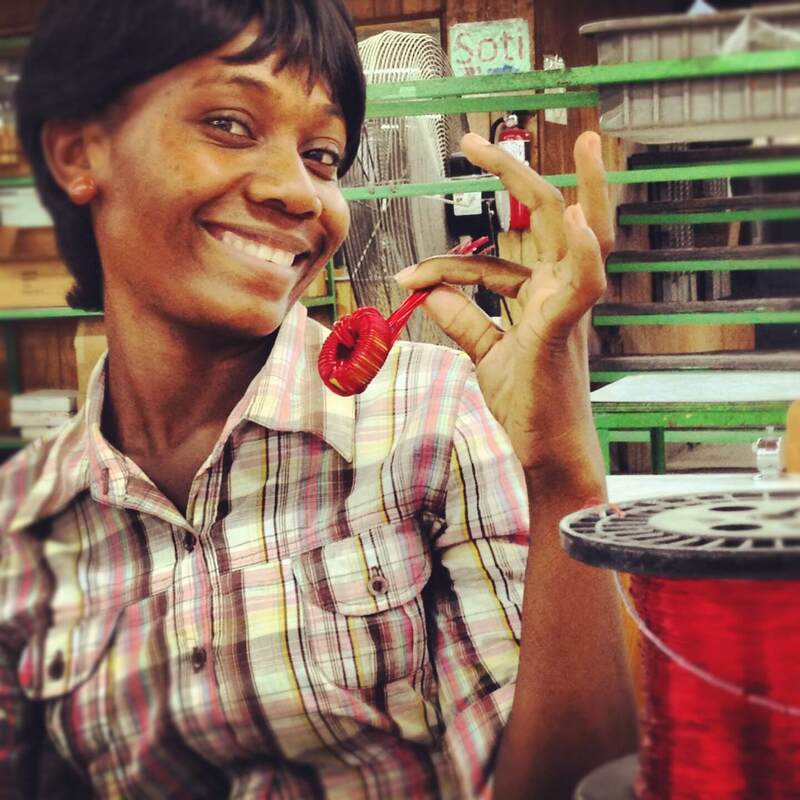 Our operation is centered in a state-of-the-art facility in Haiti with more than 500 employees. The present 35,000 sq. ft plant includes extensive manufacturing and test areas, and a list of available equipment is available upon request. The plant is equipped with a machine shop, standby generators, compressed air and loading docks. A restaurant on premises caters to all employees with company-subsidized meals. The Haiti plant is supported by a U.S. sales office and warehouse minutes from Miami International Airport. Weekly cargo shipments are made in both directions between Miami and Port-au-Prince, with containers coming monthly from China with equipment and materials. MANUTECH has trucks in both US and Haiti and handles all logistics and customs clearance between these locations. Not all offshore locations are the same and comparing the minimum wage for labor intensive manufacturing work in various countries (e.g. Mexico, Dominican Republic, China), combined with minimum quantity requirements, reveals a significant differential with Haiti offering significant margin advantages. Over the years, by paying over the minimum wage in Haiti, we have maintained positive labor relations in our non-unionized plant. A generous profit sharing program and an open-books policy has helped maintain our reputation for being one of the better employers in Haiti. We typically quote FOB Miami and are very competitive on virtually all products where there is significant labor content. We can quote product on a complete turnkey basis or labor only, depending on requirements of the customer. To request a quote or have a sample made click here. (link to form). Our product range includes transformers, inductors, wire harnesses and custom products. We are price positioned to outbid traditional offshore facilities (e.g. China, Mexico) with the transport and communication advantages of being so close to the U.S. 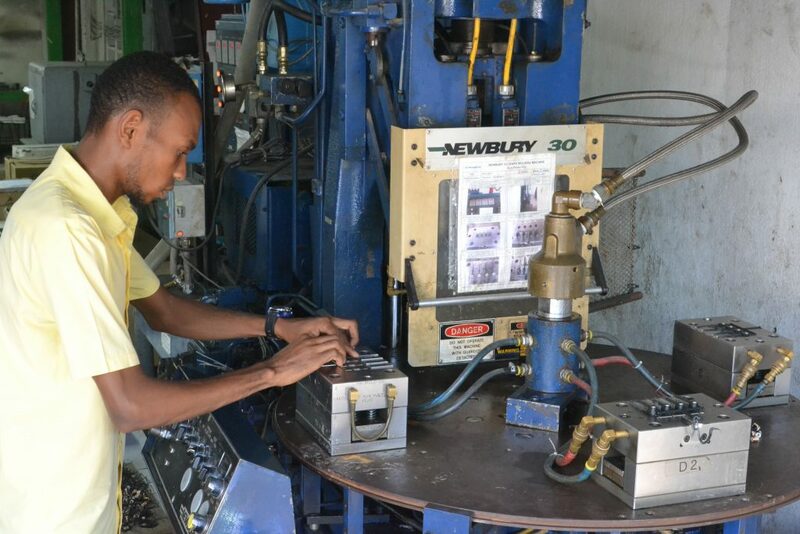 The benefits of quality products, competitive pricing, quick response time, great customer service, and a business culture built on integrity; combine to make subcontracting with Manutech in Haiti a wise economic choice. We are one of a kind. Magnetic components manufacturer with over 30 years of experience providing high quality, competitively-priced products and engineering services.